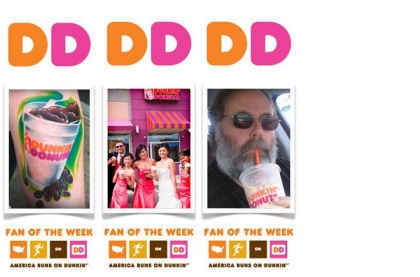 How Does Dunkin’ Donuts Pick Their Facebook Fan of the Week (FotW)? How Do I Enter to be FotW? Entering couldn’t be easier. All you have to do is take a picture of yourself enjoying your favorite Dunkin’ Donuts food or beverage and post it to our Facebook page. We hope this goes without saying, but uploaded images should be both relevant and respectful to our community as a whole. Basically, if you wouldn’t want your mother or father seeing that photo, then you probably shouldn’t post it! In addition to posting a photo, we love it when fans add a caption, and share how they’re running on Dunkin’ Donuts or tell us what they’re drinkin’ at DD. How Does Dunkin’ Donuts Pick the Winner Each Week? 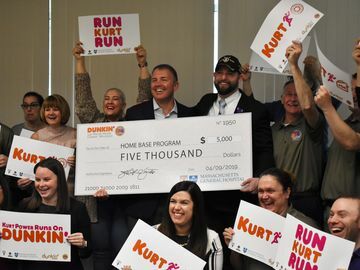 We have a team of Dunkin’ Donuts employees across our marketing and communications departments that go through all of the submissions on a weekly basis and vote for the winner. We don’t like to set too many guidelines, but instead use the voting process to see what photos and stories jump out to each of us. 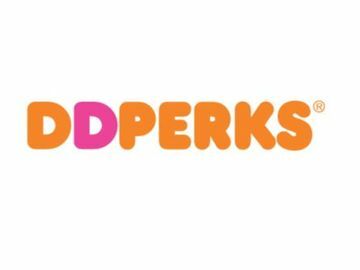 First and foremost, we look for creativity and passion for Dunkin’ Donuts. 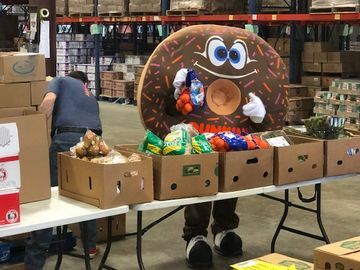 We also look for an interesting caption or story that goes along with the photo, though we don't require a caption to enter. We prefer the photos to be of people, but on occasion we have been known to make someone’s Dunkin’ Donuts tattoo the FotW (see below for the photo!). What Do I Get if I’m Chosen to be FotW? You get to be the featured FotW in our Facebook profile photo for an entire week. Plus, you will enjoy the major bragging rights that come with being ‘kinDD of a big deal’. With 52 weeks in the year (unless it’s a leap year) and over three million Dunkin’ Donuts Facebook fans, not many folks get to be the featured FotW. It’s one small way for us to thank the passionate DD fans who keep us running. Have you ever entered to be our FotW? Leave a comment below, or submit your entry for FotW by posting a photo with your favorite Dunkin’ food or beverage on our Facebook Wall.